Happy Friday and Happy National Wear Red Day! 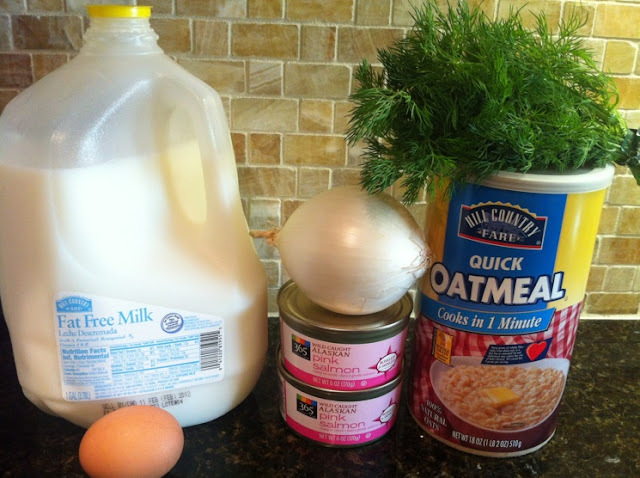 Here is a heart healthy recipe that will get you on the road to eating right. 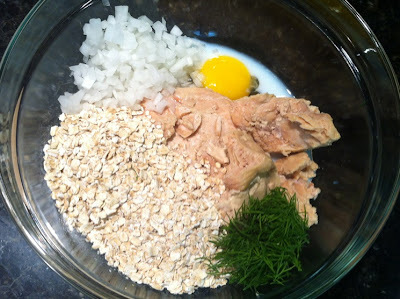 When most of you think of a salmon croquette, you probably think of breadcrumbs and mayonnaise. Well I found a recipe that has neither of these things in it. 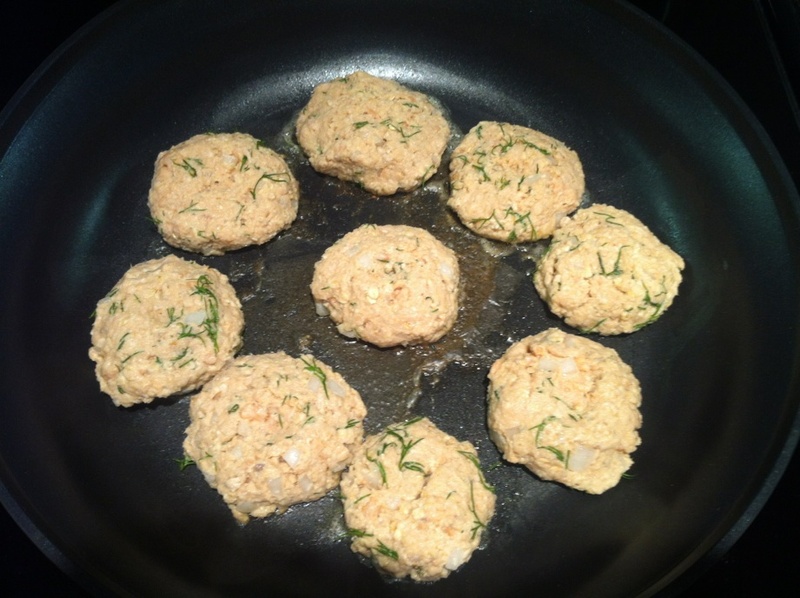 This is my healthy version of salmon croquettes. My husband actually liked this version better because he thinks the other is too greasy. If I had a sauce to go on top of these, I think I would have loved these. However, since I did not come up with a sauce, it is still a toss up for me about which one I like more but these are good for being figure-friendly! Combine all of the ingredients except the margarine and mix well. Form round and oval patties about 1/2 inch thick. Pan fry the patties in margarine over medium heat for 3-4 minutes on each side or until golden brown and heated through. 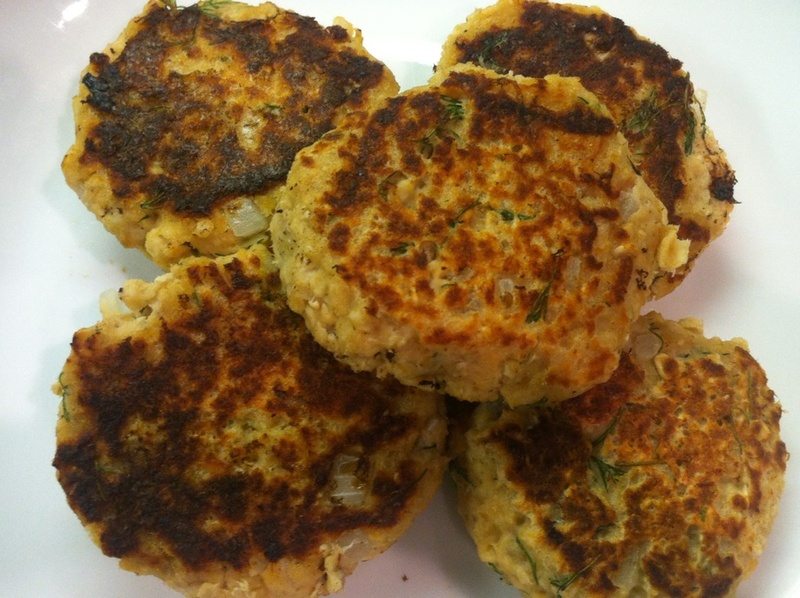 The margarine may start to burn a little but no worries it will not burn your salmon cakes! Serve hot over a bed of greens. I also think corn on the cob would pair well with this dish.